December 2009 appears to be another record month for media articles on Orly Taitz, birthers, and Barack Obama’s birth certificate. I’ve had so many articles that I haven’t been able to keep up with them, and what I’ve published on the Media page for this month represents less than half of the stories I came across. 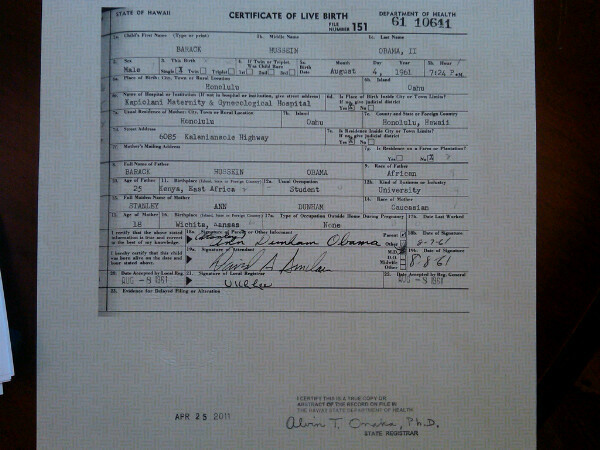 Even from as far away as Jerusalem or Abu Dhabi, birthers are uniformly ridiculed. There doesn’t seem to be any sympathy for the Obama eligibility denialists in any of the media outside the tabloids or birther, tax evader and white supremacist blogs. Even forged birth certificate theory shill Israel Insider seems to have dropped out following the election. The Columbia Missourian opines that the very fact that we know the name of Orly Taitz is indicative of the proliferation of advocacy by the ill-informed. Whether the comparison is valid or not, I have been thinking that there is a similarity between Islamic radicals and some of the birthers. In both cases a seemingly normal person gets his or perception of reality, truth, and “right and wrong” twisted into some other mode of thinking. The tool is grievances and outrage. However, while there are countless real grievances that can be found in the world related to Islamic populations in several countries, the grievances against President Obama are imaginary (since he is legitimately eligible to be President, according to all competent authorities). Barack Obama has committed serious crimes against our Nation. The evidence is well documented and published. 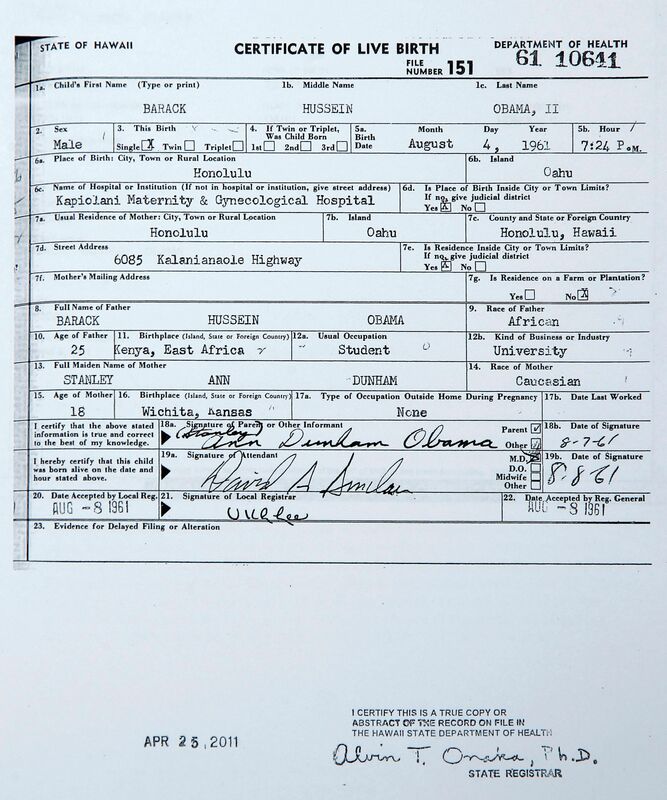 Barack Obama has admitted in public and his writings that his father was not a US citizen…. Your Honor, we would imagine these statements are not what you wanted to hear. Matter of fact, we understand that our statements probably make you angry or make you want to reprimand those that challenge your Court or authority. Well, your Honor, get in line. Many are now challenging your intentions. It is now estimated that 60% of Americans want to know the truth about Barack Obama. He has spent close to 2.0 million dollars fighting something like 15 civil lawsuits to hide the truth about his citizenship…. Judge Lamberth, we fight evil by exposing it. Once the truth is known, evil has no power over you or your Court. The People of this country are a lot stronger than the government would lead us to believe. The talk that our Country could never survive an election scandal is simply an excuse. The truth of the matter is this Country cannot survive an attack on the Constitution by a public criminal when the Judiciary fails to do anything about it. Whether it is real grievances or imagined one, the hand of the propagandist is behind both radical Islam and the birthers. 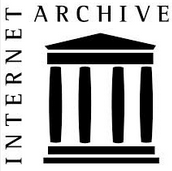 This is old news, but as the Internet myth of President Obama spending millions of dollars in legal fees “sealing” documents persists, it bears repeating. “This suit, like all of the others that have been filed challenging Obama’s qualifications for the Presidency, is frivolous,” he said in an email to POLITICO, adding that he is, in fact, working pro bono. “There is absolutely no truth to the stories about the untold millions supposedly being paid to us,” he said. Seeing targeted destruction of our economy, our security, dissipation of American jobs, massive corruption in the Government, Congress Department of Justice and Judiciary, it might be time to start rallies and protests using our second amendment right to bare arms and organise [sic] in militias. Now is this just the usual illiterate Orly Taitz, or is she cleverly telling her followers to get out their guns while being able to claim to the guys in the black vans that she meant to raise a bared arm in protest? I see no reference to the citizenship of parents in this law. 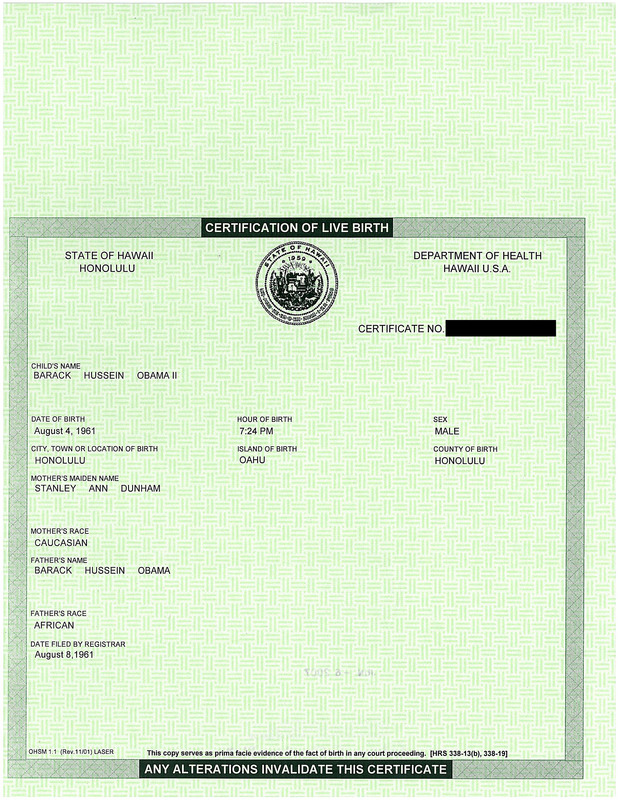 Conservative law student Jamie Freeze has written a scathing criticism of the birthers, those who believe Barack Obama was born outside the United States. Attorney Phil Berg, a leader in putting forward that version of the birther point of view, has replied in kind in a December 24, 2009 article, JAMIE FREEZE CALLS ANYONE QUESTIONING SOETORO/OBAMA’S CITIZENSHIP STATUS “INCOMPETENT IDIOTS” at his ObamaCrimes.com blog. Berg, as an experienced litigator, immediately pounced on the weak point of Freeze’s article, its gratuitous insults, ridicule and name calling. Berg can cast himself as the wise instructor of the inexperienced student. He becomes a sympathetic figure, and quickly brings the jury over to his side. Whenever Freeze (or I for that matter), makes a gratuitous criticism or a sarcastic remark, attorneys like Berg (or Apuzzo) can pounce on it, answer it, and divert attention from the more substantial points. 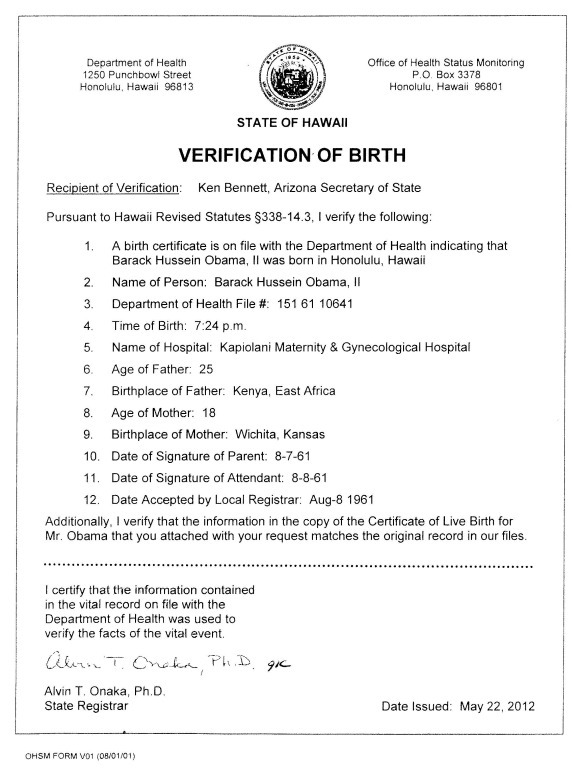 For example, in a very long response, Berg fails to acknowledge and answer the fact that the head Hawaii Department of Health said unequivocally that Barack Obama’s birth certificate says he was born in Hawaii, but continues to claim that Obama’s birth in Hawaii is unsubstantiated. Berg continues to say that the COLB has been “deemed to be forged” while not admitting that those claiming it was a forgery were themselves fakes and forgeries (anonymous persons claiming credentials they never had and using fake analysis). They cross swords over the situation that would be the case should Obama have been born in Kenya of a US mother and Berg continues to claim Obama’s name is Soetoro so that his campaign was a fraud. You can read it if you want. I’ve lost that fire in the gut to go swim in the sewers. What attorneys must learn is to focus their message on what is necessary to persuade the audience, and not to try to appear sarcastic, witty, or irrelevantly well-informed.